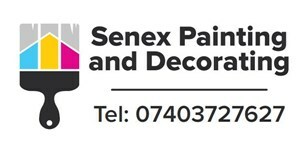 Senex FM Painting - Painter/Decorator based in Lytham St. Annes, Lancashire. Based in Lytham St Annes, Senex Painting & Decorating is a trusted, rated and reliable family run business. We have been providing home owners and businesses in Lytham St Annes and the surrounding area with high quality decorating solutions for over 30 years. We have earned a name for quality and customer service and the homeowners and businesses we serve know they can rely on us for a first-class service. Our goal is your satisfaction. We aim to understand and meet your requirements at all times. Senex Painting & Decorating serves our clients as if we were serving ourselves. We value your feedback and use it to improve our work. We stay up-to-date on the latest innovations in products and technologies allowing us to bring the best into our clients' homes. We work hard to ensure we work to high standards. That's why we promote continual training and membership of professional bodies.